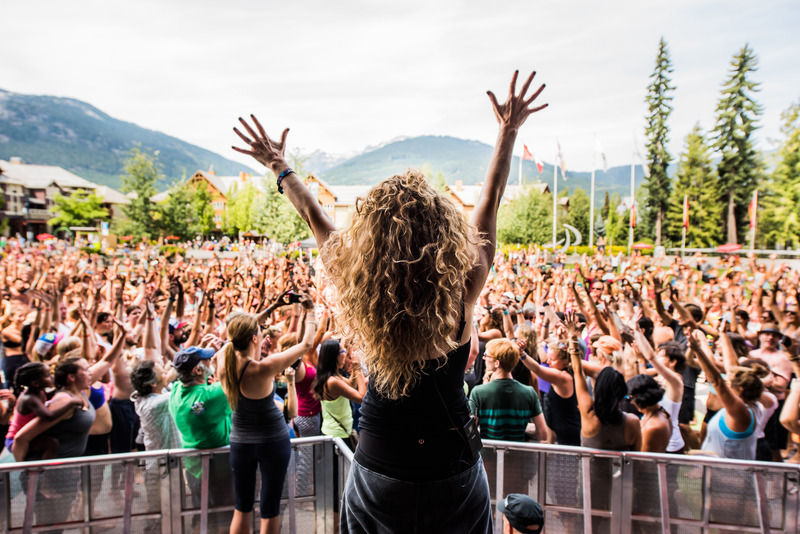 Music festivals are unabashedly hedonistic experiences — places where dopamine and serotonin flow freely (sometimes with chemical aid and sometimes without) and where pleasure is in abundance. Stimulating your senses is priority, love is supernatural, and coincidences don’t happen by chance but by fate. Music festivals are where utopian sensibilities meet dystopian environments and the realization of how little one truly needs to survive becomes blatantly apparent. Though unity, creativity, ecstasy, and community still accurately define the festival ethos, new data proves that these events have finally transcended their hedonistic reputation. At some point in the modern concept of music festivals' 50-year history, the focus shifted solely towards partying, however it was activism from which festivals were born. The festival touchstones of Monterey Pop in 1967 and Woodstock in 1969 was a cultural explosion that came during a time of civil unrest. Woodstock in and of itself was a protest—a protest against the Vietnam War, a protest against conformity, a protest against racism, and a protest against the ever-looming, party-pooping “Man.” For the first time, the youth not only collectively rebelled against older generations but vocalized their beliefs, birthing the music festival’s target audience—of both then and now—the counterculture. Over the last few decades, as festivals have split into genres and subgenres, many mainstream rave-style events and corporate festivals have lost sight of their activist predecessors, while smaller boutique festivals like Lucidity and Arise have kept the far-out spirit of Woodstock alive (albeit evolved). But there has been an exponential uptick, thanks to the wildfire that is social media, in both mainstream and underground festivals alike that want to make a difference. 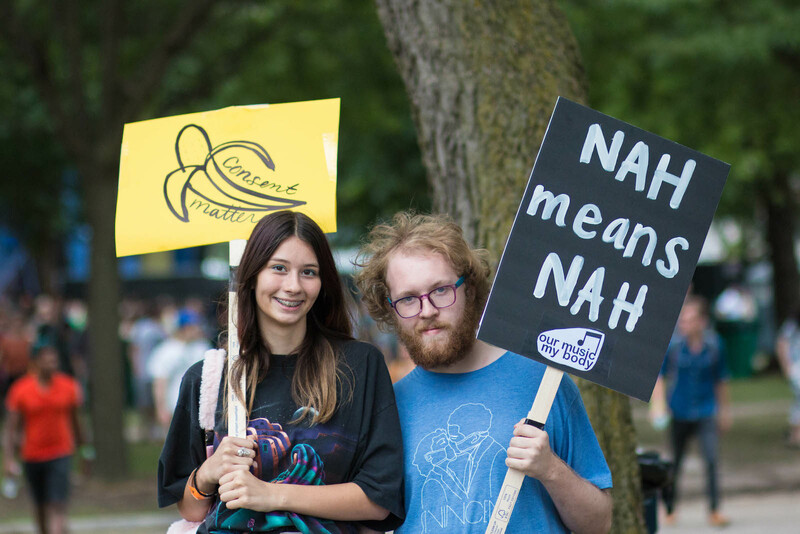 Last July, Chicago’s iconic Pitchfork Festival partnered with Mothers Against Senseless Killings (MASK) and Everytown for Gun Safety, the nation’s largest gun violence prevention organization, to take a stand against the increase in violence caused by guns. They proposed that attendees wear orange, the color that hunters wear for protection and visibility—an act that began after 15-year-old Hadiya Pendleton was shot and killed in Chicago; her family wore orange to honor her memory. AFROPUNK in Brooklyn, New York, frames its entire ethos as a festival on the principles of: "No sexism, No racism, No ableism, No ageism, No homophobia, No fatphobia, No transphobia, No hatefulness." 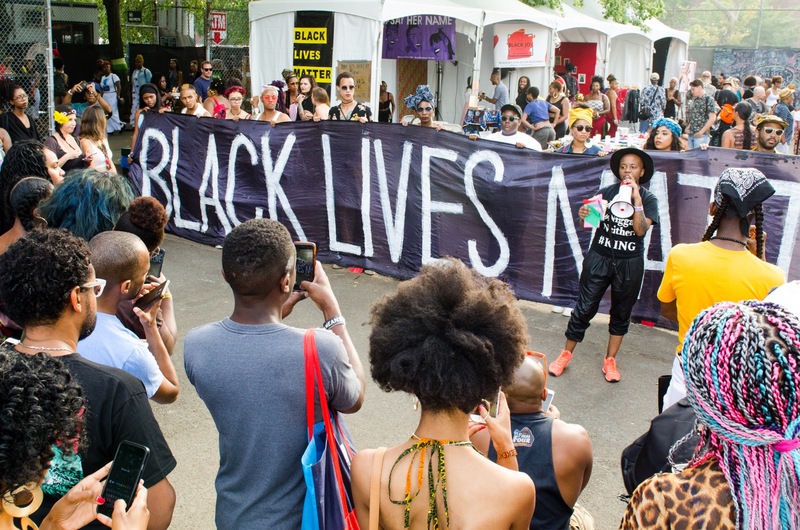 Most if not all of its artists are outspoken advocates for acceptance and change, and this year Black Lives Matter activists infused the festival with an even more inspiring and political vibe. Whether it’s by taking a stand against violence, organizing beach clean-ups like Wanderlust Festival’s Oahu edition, or advocating political change like North Carolina's Moogfest, which introduced a protest stage in opposition to the state’s infamous “Bathroom Bill” and the Trump's Muslim ban, the infectious thrill of change is catching on. 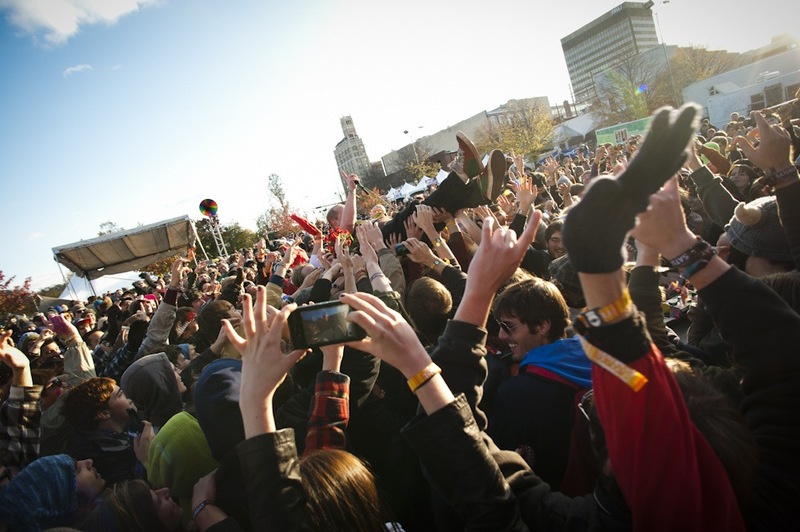 According to a study done by Eventbrite , a ticketing platform that specializes in live events, Millennials continue to be the driving force of growth in the live event space with 89% of those who participated in the study having attended a concert or festival in the past year. The same study showed that 80% are more likely to attend a music event that features artists who are affecting positive change through their music. In other words, it’s not just about partying anymore—it’s about partying with purpose. More and more, artists and event organizers are utilizing their elevated public status to make impactful contributions to society via activism and philanthropy. From A-list celebrities, (like Alicia Keys and Madonna performing at the Women’s March on Washington or Leonardo DiCaprio and Miley Cyrus donating small fortunes to Hurricane Harvey relief efforts) to underground artists, they are not shying away from the political spotlight nor are they turning their backs on those in need. Even Eventbrite is supporting their own claims as Kimball is currently spearheading a campaign that promises to waive ticket fees for any event on their platform that will donate 100% of its proceeds towards the recovery efforts of Hurricanes Harvey and/or Irma. This call-to-action especially encourages events that venerate themselves as game-changers, philanthropists and humanitarians to literally put their money where their mouths are. 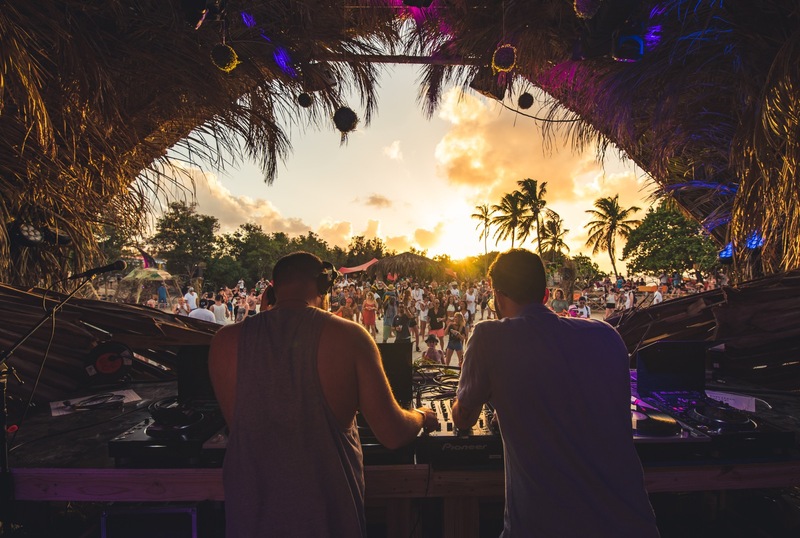 Some festivals, such as the annual SXM Festival which takes place on Saint Martin, have organized their own humanitarian efforts due to being directly affected by Hurricane Irma. 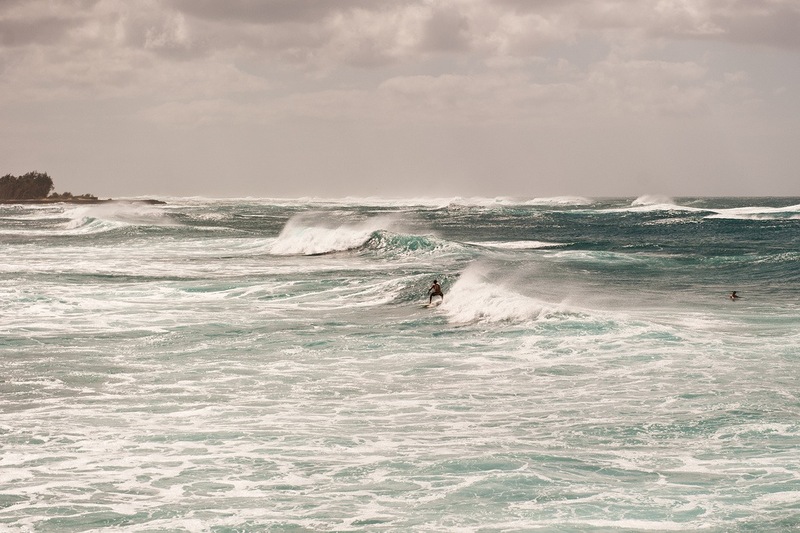 “With thousands of homes and businesses destroyed and 95% of the island’s infrastructure wiped out to sea, the people of St. Martin have been left completely vulnerable to the storms developing in the wake of Irma,” the festival declared in a press release. Using a popular crowdfunding website, they started a campaign to raise money for the rebuilding of St. Martin. With the help of their PR team and their tens of thousands of social media followers, they were able to raise $30,140 in seven days. Burning Man —though whether or not it is considered a festival has long been a contentious topic—is the crown jewel of countercultural gatherings. It is collective hedonism at its finest. But what it teaches is more than just self-indulgence: While indulging the self is celebrated, indulging others is celebrated in equal measure. Magic is doled out in ample helpings, the elements are endured yet kept sacred, and money, commodity, and consumerism are forgotten—along with thousands and thousands of bikes (a predominant headline after this year’s event). 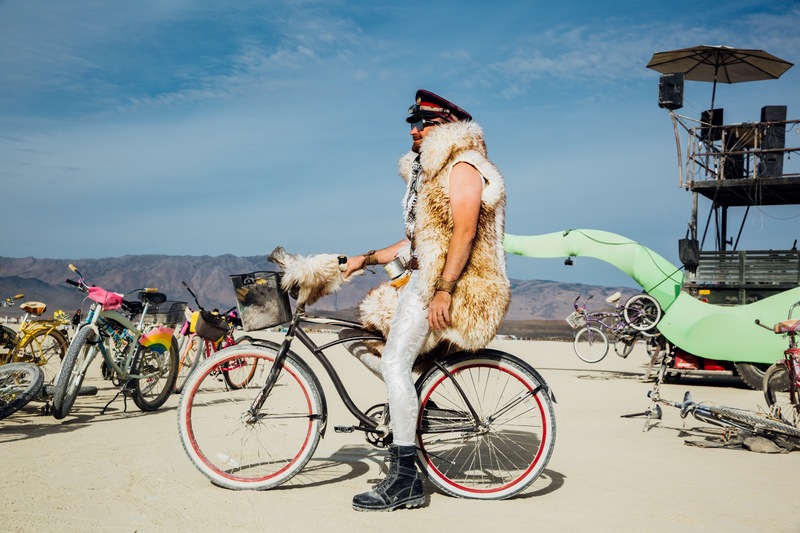 When you are among the last, bleary-eyed stragglers at Burning Man raking up subatomic particles of MOOP, being left with a stack of bicycles is kind of a drag. Some people shoulder the burden and strap these bedraggled, if not completely useless, bikes to their already bulging vehicles. However, many are unfortunately left behind at an event that is championed for leaving no trace. But fret not, for an industrious Burner named Meg Kiihne found a solution to the bike debacle by donating them (after a spit-shine and a tune-up, of course) to the Irma victims of Turks & Caicos. Having lived on the island, she has a substantiated belief that this movement “will help shift [this country], region, and world toward sustainable transportation solutions” and “create jobs through bike maintenance training.” Nice work, Meg! Music festivals have become the perfect incubators for change, as Eventbrite recently discovered. What’s interesting is no longer how these attendees act at festivals but rather why they attend them in the first place. 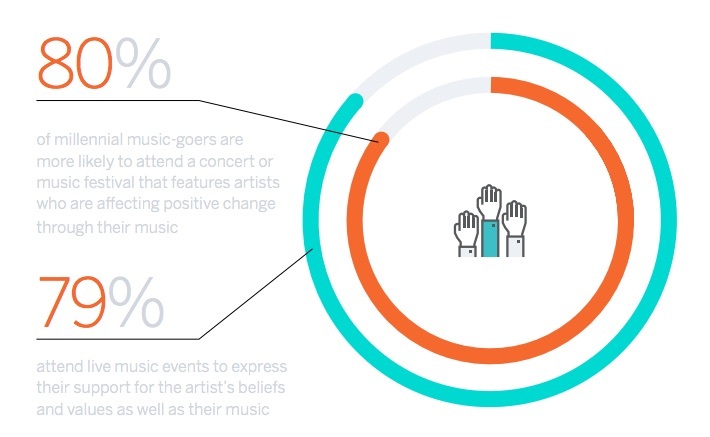 Of those who participated in the aforementioned study, 79% attend festivals to express their support for an artist’s beliefs and values, 77% attend concerts or music festivals that align with their own beliefs and values and 81% attend to engage with a like-minded community. While “like-minded” is a cozy platitude, it is those who think independently together that are the real movers, shakers, and changers.